Winter is rough on all of us, and it can be especially rough on your car. Unless you live in a tropical climate you have to be prepared for the worst. When it’s cold outside people, plants, and animals need protection from the elements. Cars are not people they need a certain degree of protection if they are going to brave the elements and function properly. 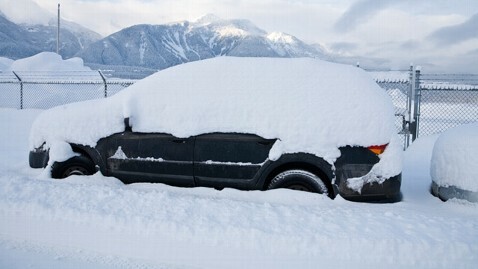 Winterizing your car is a regular part of proper vehicle maintenance. It is also important for your safety, as well as your family’s safety. It’s never fun to get stuck on the road especially when it’s below freezing. Here are a few tips to keep you safe while on the road during the winter months. What Engine Oil Should I Use During The Cold Seasons? The temperature outside affects your cars internal temperature. It is important to make sure your car is running the proper oil for the occasion. During the colder months, if the temperature is below freezing, you should switch to thinner oils. Say for instance if you are running 10W-30 in the warmer months, switch to a 5W-30 oil the colder months. However, to be safe check your car manual, or contact your local technician. Engine coolant is not only for keeping your car from overheating. It is also protects your car against rust and corrosion. When it starts getting cold outside, make sure the anti-freeze you are using contains ethylene glycol. All cars require a certain amount of coolant to water ratio, your owner’s manual or repair technician can explain what is best for your particular vehicle. For most vehicles, a winter ratio is 60% coolant to 40% water. Having the proper ratio is important during the winter, so if you need help, make sure to ask someone who knows, such as your local car care professional. The efficiency of a car battery is reduced by cold weather. You should inspect your car battery, cables, terminals, and fluid to ensure your car is ready for the winter. Check the battery cables for cracks. All terminals should fit properly, and not have any loose connections. You can check battery fluid by uncovering the refill hole (or sometimes holes). If the level is below the bottom of the cap, refill with distilled water. To check the level of charge in your battery, you will need to turn your car off. Some batteries have a built-in hydrometer eye that tells you the amount of voltage remaining. If you prefer, a handheld hydrometer can be used to collect the same information. Protecting your battery is crucial when it comes to not getting stuck in the cold. The roads get icy and dangerous during the winter. So it should come as no surprise, that one of the most important things your car can have is proper tires. Fitting the right tires on your car or truck can save your life when you are driving in snowy, icy conditions. It is suggested that you change all four tires to snow tires in the winter, as the difference in tires may cause other problems. Another option instead of switching tires twice a year is to use all-season tires that you can use all year. Also just a reminder; always have properly inflated tires. At our repair shop we cannot keep this stuff in stock during the winter season. Although, it seems that people only buy it once their car is already covered in salt and dirt. It is important to have a fluid that contains anti-freeze as it will keep your lines from freezing. It is also a good idea to buy this before it snows and not during a storm. When you take the time to properly winterize your car you will be safer and you will extend the life of your car. Contact us for help winterizing your car.